The U.S. House of Representative conduct a field hearing in Florida, titled, “The Homeowners’ Insurance Crisis: Solutions for Homeowners, Communities and Taxpayers.” The field hearing will be held to review issues crisis related to the available and affordable home insurance. The hearing will be held on July 2, 2009 at 10 a.m. in West Palm Beach. The hearing can be viewed by accessing the U.S. House of Representative’s Web site. Crist’s veto has been heavily criticized for the potential long-term affects it could have on the state. The legislation which was vetoed by the governor was meant to encourage insurance providers to stay in the state. Crist issued the veto to keep the insurance affordable, but many say the veto make it impossible for many to get any insurance, affordable or not. Uninsured homeowners throughout the state would spell disaster if hurricane hit the state during this hurricane season. The 2009 hurricane season is here. This means it is time to start thinking about hurricane preparedness. Floridians have to think about preparing our homes, family and pets for the upcoming season, but we must also think about preparing our boats. It is important to remember to have up-to-date insurance policy for your boats. Boats are very valuable assets and are particularly susceptible to damage during the hurricane season. Florida Hurricane Attorney, Lawyer Michael Maddux notes that Florida's Disaster-Management officials are considering using foreclosed homes in Florida for temporary hurricane housing. During a recent storm simulation, 250 state, federal and local hurricane preparedness officials realized that neither Florida nor Federal Emercency Management Agency (FEMA) has enough shelter space to house the newly homeless after a Cat 4 storm. There are 250,000 foreclosure and as many as 300,000 unsold homes on the market. Complete Story on Florida Hurricane Emergency Housing is here. Are You Ready? An In-depth Guide to Citizen Preparedness is available online. Videos and downloadable guides are available that "provide a step-by-step approach to disaster preparedness by walking the reader through how to get informed about local emergency plans, how to identify hazards that affect their local area, and how to develop and maintain an emergency communications plan and disaster supplies kit. 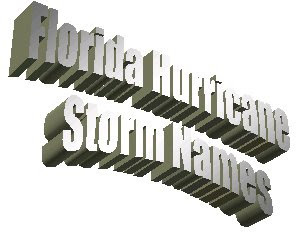 This year's storm names for 2009 are: Ana, Bill, Claudette, Danny, Erika, Fred, Grace, Henri, Ida, Joaquin, Kate, Larry, Mindy, Nicholas, Odette, Peter , Rose, Sam, Teresa, Victor, Wanda. 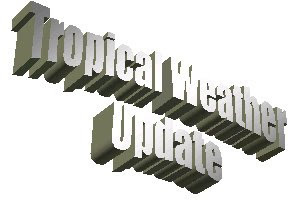 Here is a link to Tropical Weather Updates. It is not too early to get ready for the hurricanes. The official start of the Hurricane Season Is June 1, although most hurricanes are in August and September. Getting ready now can make the difference between a minor aggravation and a major catastrophe. Check your generator. Check your flashlight and radio batteries. Buy a few extra canned goods each time you go grocery shopping. If you live within 75 miles of the Atlantic Ocean or Gulf of Mexico, you need to have a hurricane plan. 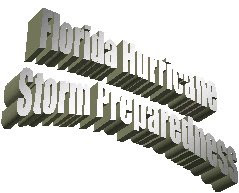 The main things you will need to decide on once notified of a hurricane threat are when you’re going to evacuate, how you’re going to take care of yourself and your family and your pets during and after the storm and how you’re going to protect your house and personal belongings.